100 Bradford Street #2, Provincetown, MA 02657 (MLS #21713260) :: Rand Atlantic, Inc.
First time offered. Penthouse living in the newly converted Provincetown Advocate Condominium. Be part of Provincetown history in the building which once housed the New England Telephone and Telegraph Company, the Walter P. Chrysler Sandwich Glass Museum and the Provincetown Advocate newspaper. 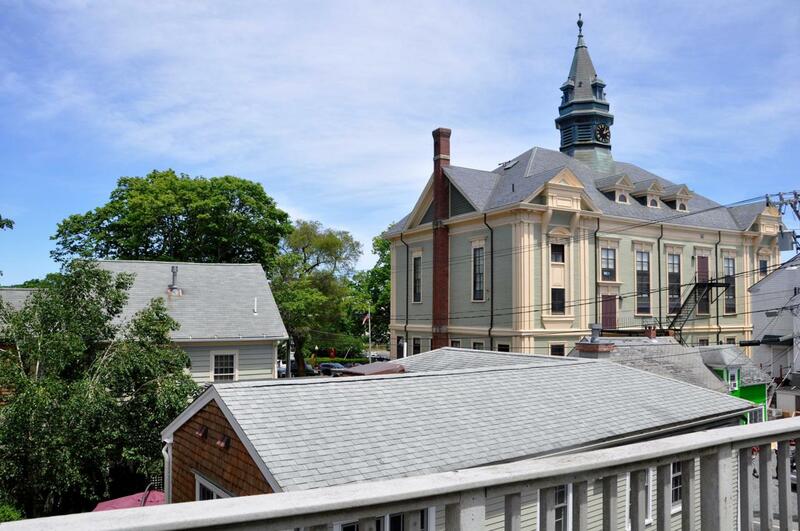 Enjoy all that Provincetown has to offer from this historic building while sipping cocktails on your exclusive use deck with vistas of Town Hall, Provincetown rooftops and the Monument. Enjoy seasonal water views from the oversized bank of windows on the south side of the building. Cathedral ceilings with open, flexible and versatile floor plan. New stainless steel kitchen appliances. Washer and dryer hook up.Enjoy restaurants, shows, and all that living in down town Provincetownhas to offer. You will want to put this beautiful top floor condominium on the top of your list. Listing provided courtesy of Mary-Jo Avellar of Cape Cod Oceanview Realty.